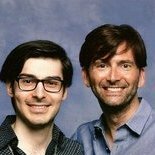 Thank you, I’ve set that photo with David as my profile pic for now!  I’m sure I’ll change it quite often, though, as I want to use my other photos as well, love them all! 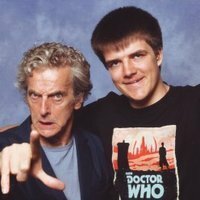 I’ve also put my TARDIS photo with David as my phone background, and my Saturday pic with Peter (the one with the fluffy hair) as my iPad background Are you going to change your profile pic as well, or will you stick to your classic Twelfth Doctor photo? What did you get signed? Still haven’t written a formal thank you, and now on my train to the airport I finally have the time, but no words can express how grateful I am for this convention. You created the best event ever for Whovians worldwide, and beyond all the complaining for too many Doctor Who guests it still isn’t addressed enough that you broke a world record, reunited almost all living Doctors, and made thousands of fans happier than ever before. The Doctor Who lineup was amazing throughout, not only the leads but also the brilliant companions and recurring characters. And it’s even more amazing considering they were only a small portion of the full lineup. 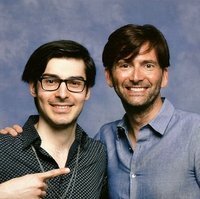 I appreciated so much all your efforts and dedication in order to book as many Doctors as possible up to the very last moment with Tennant’s announcement, my favourite guest alongside Peter Capaldi. You were determined to create the best event ever for the Doctor Who fandom and you totally delivered. Thank you to the crew who allowed the whole experience to be smooth and satisfying, being as helpful and kind as they could even under pressure. For me no other event will ever match this one, this was a once-in-a-lifetime opportunity. You made my Whovian dreams come true all at once, both on a personal level and collection-wise. Only problem I now have to find me new dream guests Luckily I already have a new entry to my must meet list: Jodie Whittaker I hope you will continue to have a special attention for us Whovians, inviting back some of this year’s guests - as well as new ones - to future shows. No other convention did what you did for us, and I doubt others will manage to do that or even try, so well done and congrats! Also thank you for the opportunity to meet a couple of people from this forum and chat with other fans, there aren’t many occasions to meet other Whovians or collectors where I live - and since this is a thank you post, thank you also to wjbleming and R4 for saying hello to me and chatting briefly, I’m incredibly socially awkward so I really appreciate it when other people initiate a conversation Hope to see you at many more events for years to come! Inviting Jodie Whittaker, maybe? (SM I dare you ) Anyway, fantastic photos, man! Pretty sure they weren’t Showmasters. The three dealers in front of me had Diamond Passes, and the red shirt staff member at the queue reminded them they could only get 5 autos max each. They followed the rules and didn’t even take that long, it’s just that it really puts off the actors. They weren’t rude or anything, but they obviously didn’t care about Chris as a guests at all and acted as he was a money making machine, shoving poster after poster under his nose saying “sir please sign this... and this... and this”. I think Chris has openly said in the past that he doesn’t like dealers at stage doors etc., and he did look a bit annoyed (first he was cheerful then turned very serious, rolling his eyes at their requests etc. ), but I guess he couldn’t refuse to sign for them in that situation. Being immediately behind them was unfortunate for me, I tried to make it clear that I wasn’t another dealer, I called him by his name and said I was happy to meet him, but he was still quiet and looking annoyed. Then when he handed me back my autograph he seemed to notice that things had turned a bit awkward and gave me a very warm goodbye, offering to shake my hand and all, so in the end it didn’t go bad. Apart from this, my only real low was the whole ticket situation with David Tennant, like the online store collapsing on itself, the tickets sold at the sales desk not being treated equally to online tickets, all the resulting confusion and initial chaos at the photo shoots - which was however resolved pretty efficiently. Anyway, SM is not even entirely responsible for this, it was mostly Eventbrite not coping and David being massively popular, and this “low” is basically non existent compared to David Tennant attending in the first place. 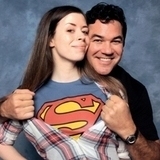 It was a miracle to have David at this con and his announcement made me so happy (and stressed, but mostly happy ). Now I finally have two proper photos with him after meeting him once before at a stage door, and if I had to queue for two hours at the sales desk and at the photo shoot in order to meet him so be it, it was totally worth it Everything else was a high for me. I was extremely impressed by the organization, there might have been some delays but coordinating such a huge event in such a smooth way from entry to photo collection is astonishing. Don’t take this crew for granted, guys, because events internationally wished they had this level of organization, sadly I can totally assure you this is not how most companies or countries do events. The location is great, and seriously it wasn’t neither hot nor overcrowded. The temperature was warm and the air con was good, it was much worse in my hotel room or at home, don’t be so British guys Also I not once was stuck in the crowd unable to go where I needed to be, even when I was running from one overlapping photo shoot to the next on Saturday and Sunday, again believe me there are plenty of events so overcrowded you are literally unable to move. 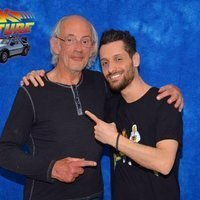 Finally the guest line up was the best, and it’ll probably remain the best for me for a very long time, 9 Doctors together at the same event was something I would have never dreamt of! It was a blessing that we could witness both his hairstyles tbh I was glad he gelled his hair so my photos from Saturday and Sunday look different, too Btw as I’ve already said, Peter was the absolute best guest I’ve ever meet. Such a genuine person, so passionate and empathetic, so caring and understanding of his fans. He totally gets how important these events (and fandoms in general) are for us because he’s a massive geek, too. All the Doctor Who guests I’ve meet were amazing, but for what I’ve seen Peter really went the extra mile to connect with everyone.